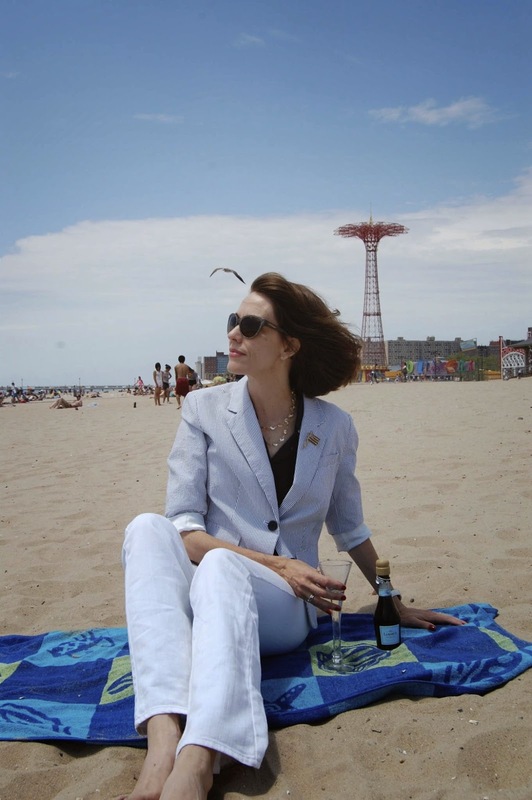 Jill Burgess began blogging at Everything Just So in 2010 in order to cover the exhibit “American High Style: Fashioning a National Collection” at the Brooklyn Museum. (Was it fated that I would find her? Will she be covering "Killer Heels" soon?) Since then, Jill has branched out to include interviews, reviews, opinions, the occasional outfit post, and the “How I Wear My” series she co-write with Adrienne of The Rich Life (on a budget). She also writes articles on costume design for Clothes on Film, Christopher Laverty’s site devoted to costume in movies and TV. Who are you? 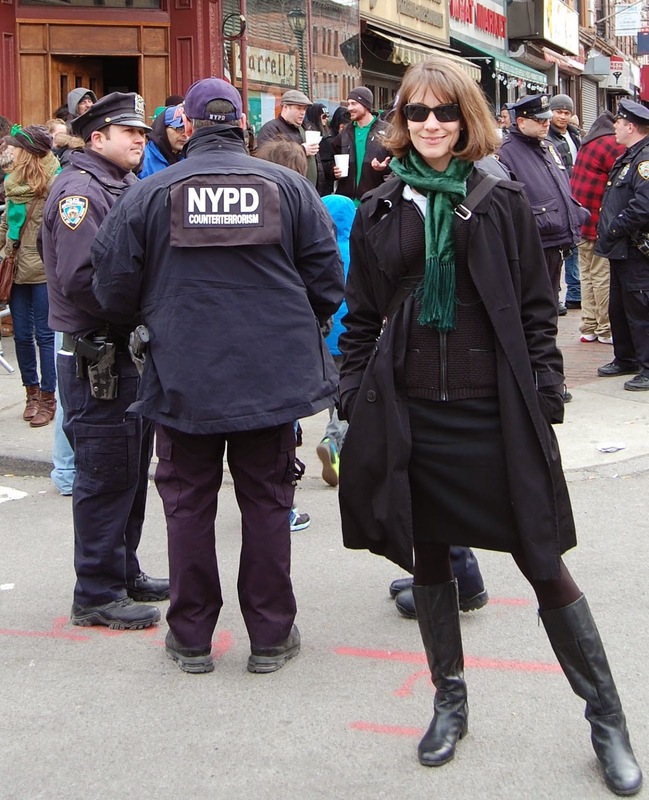 My name is Jill Burgess, I live in Brooklyn, NY, and I write a blog called Everything Just So. In addition to my blog, I occasionally write articles for the outstanding London-based website Clothes on Film, devoted to costume in film and on TV. I am a big fan of costume designers! What inspired you to start writing/blogging? When did it happen? I’ve written from the time I was pretty young and for a long time I only wanted to write fiction. But something about both witnessing the events of September 11 in Manhattan and, later, giving birth to my children, started changing my writing. I didn’t want to write—or read—fiction any longer. I didn’t want to read about the sadness or devastation in a character’s life. I wanted to focus on things of beauty in this world. My attention turned more to fashion and costume. In 2010 I started my blog so I could get a press pass to the Brooklyn Museum to see a preview of the exhibit "American High Style: Fashioning a National Collection." This was when the museum was giving their extensive collection of fashion and accessories to the Met. I wanted to be there and I wanted to interview the curator, Jan Glier Reeder. The lovely people at Brooklyn Museum said I could attend the preview as a blogger and I was on my way. Why do you write? I write to share new things I’ve learned or sometimes to just put ideas out into the blogosphere. I love reading people’s responses to questions I post. For instance, recently I asked readers if they think expensive things are immoral. Another time I asked if you had $5,000 and could choose only one thing to spend it on, would you pick jewelry or travel? Another great question was asking if people thought, as Ava Gardner did, that women should be at least 40 before wearing diamonds. The responses to that were very fun to read! Your writing inspires me. Who inspires you? Thank you for the compliment! When I was younger I would’ve said F. Scott Fitzgerald, Ernest Hemingway, and Donna Tartt. I still love their writing but these days what inspires me is anyone striving for excellence and the person doesn’t have to be a writer. I am just as likely to be inspired by hearing about what an athlete goes through to prepare for, say, the Olympics, or Wimbledon, or reading about an entrepreneur who has an idea and turns that idea into a business. I am also constantly inspired by regular people who seem to have boundless energy and can accomplish a ton of things in a day. I strive to be more like them! In keeping with the admittedly loose travel theme of Not Intent On Arriving, if you could have an all-expenses paid trip anywhere in the world, where would you go? I am currently reading Rainier & Grace: An Intimate Portrait by Jeffrey Robinson and it has a surprising amount of chapters devoted to the history of Monaco, which has been interesting to learn about. Because of that, I’d love to take a trip to Monte-Carlo so I could see Monaco for myself, and if it's all-expenses paid, I want to spend time on a yacht and have an endless supply of champagne, which I hear is the official drink of Monaco! I would also love to go to England and Scotland and take a tour of castles. I feel an almost mystic connection to that part of the world when I see pictures of it. Is it all that English lit I read in college or is it evidence of a previous life? What is your favorite place on earth? New York City, without a doubt. There is no end to New York. Anything else you'd like us to know? I am an avid Olympics figure skating fan and have been since I was very young. If there is Olympic gold on the line I will watch every second of every event. I was beyond thrilled to see the American ice dance team of Meryl Davis and Charlie White win a gold medal this past February. I never thought I’d see the day when an American team would win Olympic gold in ice dancing! I would rank their performance to “Scheherazade” right up there with Torvill and Dean’s 1984 Olympic free dance to “Bolero.” Stunning! I adore Jill and her blog is fabulous! So nice to get to know a bit more about her! Thank you for featuring Jill...she is and always will be one of my favorite bloggers. Were I to go to NYC, I would give her a call! Great interview of Jill! Love her! I'm a big fan of Jill ! Fun interview with Jill. Thanks for featuring her.